Can you inspire young people with their career and business aspirations? There is also an opportunity for local people and young people to volunteer and gain further skills. Volunteers will develop their leadership skills and show what it means to be a positive role model. 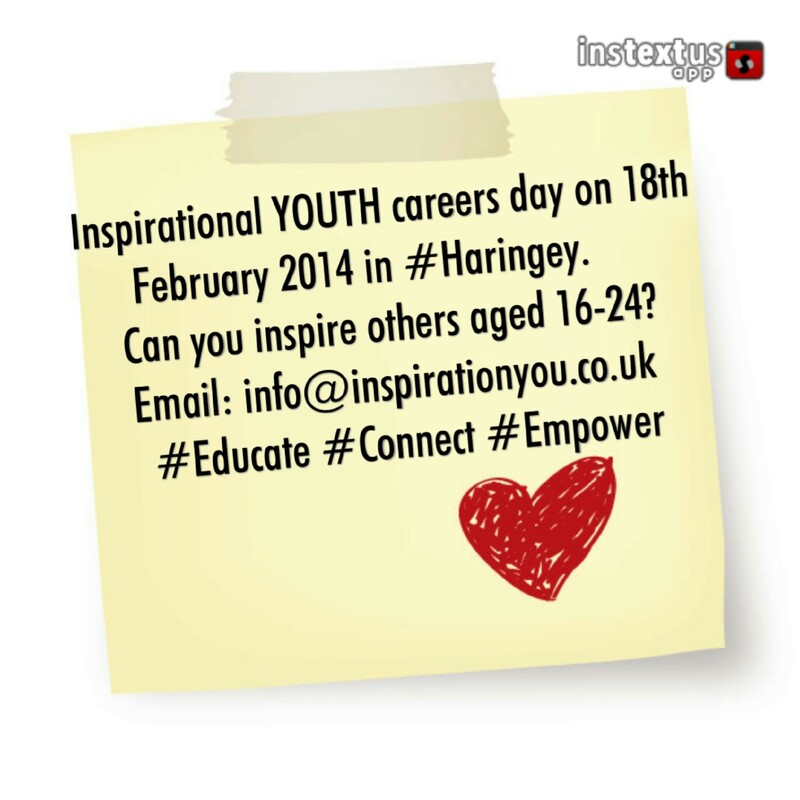 Launching in Haringey in February 2014, each conference will feature successful leaders and entrepreneurs. The tour will feature: workshops, peer learning sessions, mentoring and an industry masterclass.